This is a very excellent and demanding review with a lot of effort on your part using 3 cameras at one time “BRAVO”. I have the A7S, A7RM2 and A7M3 and have been playing with the A7S since 2014, 2016 A7RM2 and 2018 A7M3 with Astro MW and other things. I think the most I have learned is from PhotoPills and now the Spot Stars part and the NPF rule for the different cameras and apertures selected giving shutter speeds versa the 500 rule. A shorter SS for the wider the Aperture (more lens being used) but learning that even a 10mm lens is 17.86 seconds for Accurate and 35.60 for standard so bulb mode not really needed. 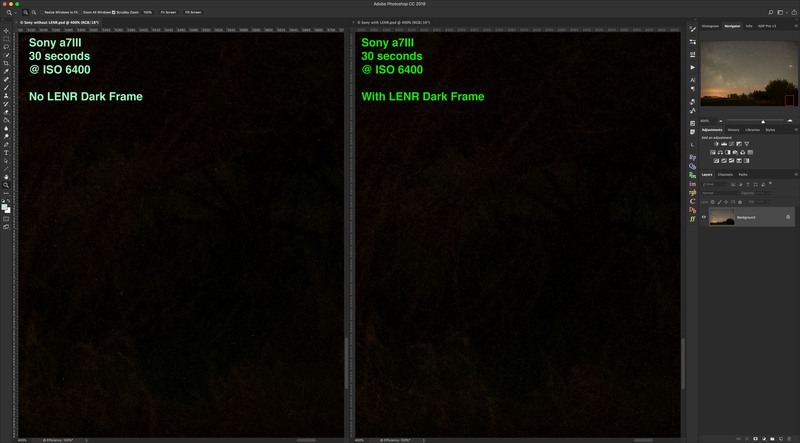 Also the best thing is ISO Invariance from 800 to 51200 with the least amount of noise for Mark 2 cameras and above. 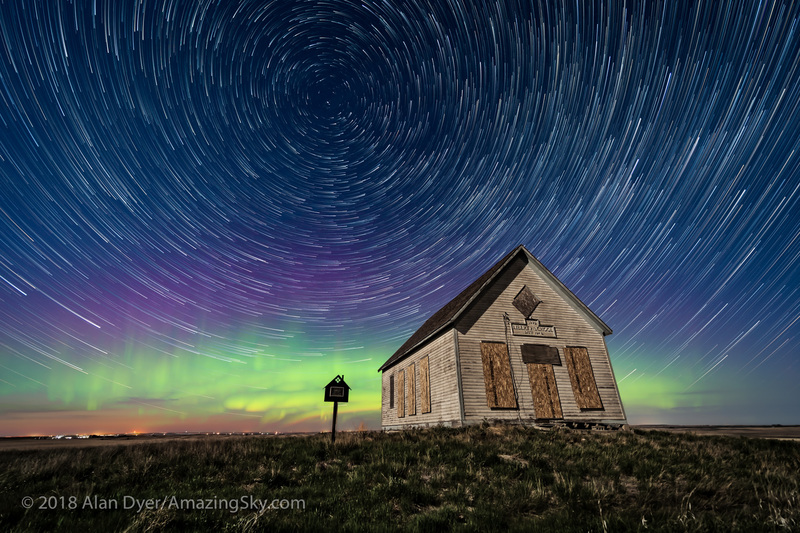 So even if you should only do a 12 second shot for no star trails with a 12mm f/4 for a big print you can increase the ISO or just leave at 800 and brighten in post. Also great for sunrise/sets without a tripod ISO 50 and A f/4 still detail and super bright. I have learned that night shots below 800 are noisier so for what it is worth. Even if super dark capture knowing post will be great. A great app I found with the A7S and A7RM2 was Digital Filter which is good for city lights below and dark sky above, you can capture two images in camera with different settings for the above and below and get a RAW combined in camera image to use in post instead of Photoshop blending, again just for thought. I may upgrade to A7SM2 and compare to A7M3. 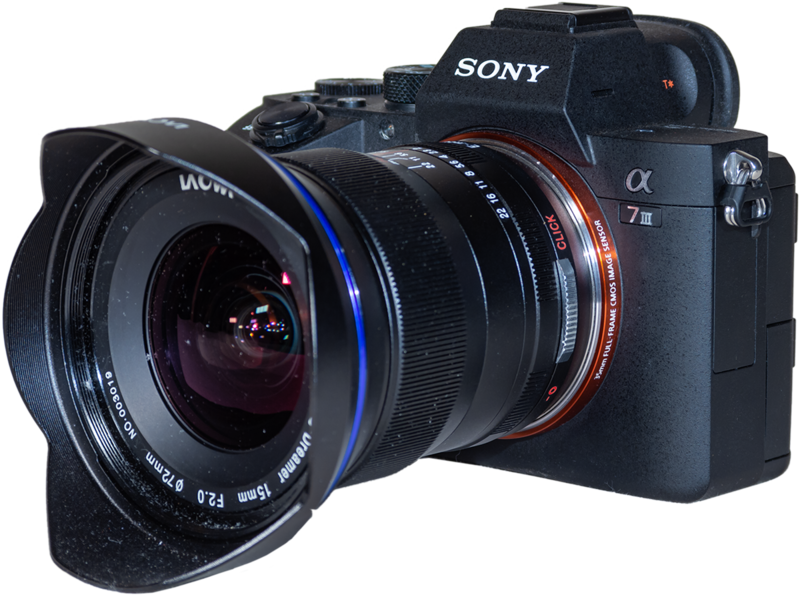 But a monster night shooter would be the A7SM3 if left at the larger pixels of 12mm not looking forward to Video stuff (people need to get a video camera look at all the attachments anyway leave the photo cameras alone)…. I just read your evaluation of the Sony A7III in Sky & Telescope. Great article. You obviously put some time into your tests. 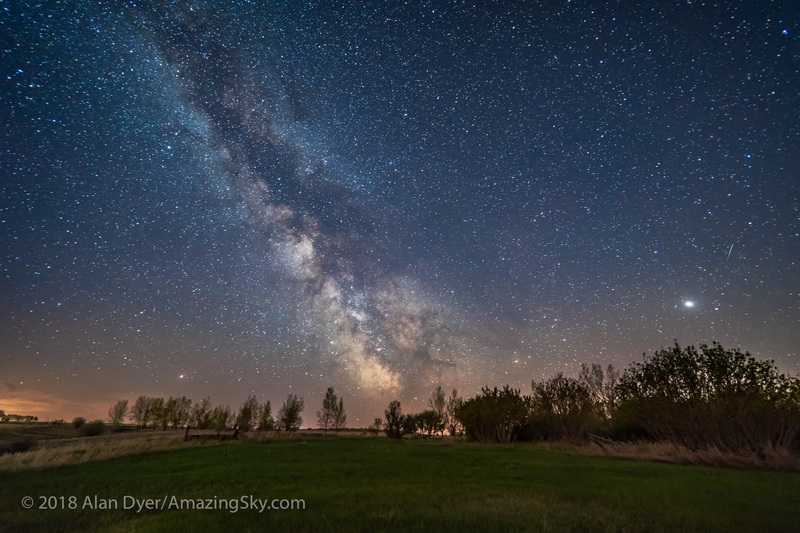 I am a Sony A7III owner and from what I have seen using this camera for the night sky I have to agree on most of the things you said. The thing I disagree about has nothing to do with this camera. It is about bigger pixels producing less noise in a photo as a whole which is probably a myth. If you measure the noise of individual pixels, larger pixels will have less noise simply because they are larger and can gather more light in any given amount of time. Iet’s say you are comparing similar size photos between sensors that have larger vs smaller pixels. If the sensors have the same area it is more likely you will see no difference in noise given the same level of technology. 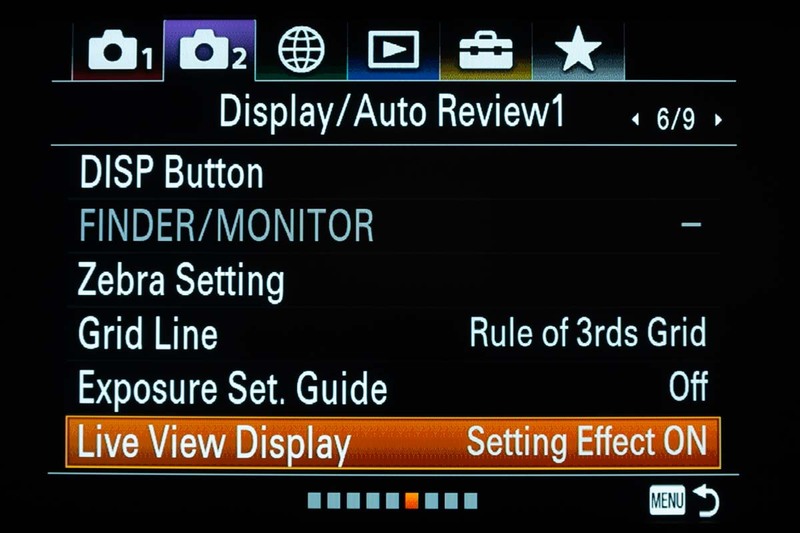 You will see more detail with smaller pixels but not more noise unless you are cropping photos from these different sensors to the same number of pixels. In that case you would get a wider angle photo with the larger pixels with less noise simply because you are using a larger part of the sensor. I believe it is more likely its all about total area of the sensor and not the size of the pixels. Jeff — Thanks for your comments and interest. Yes, that’s the point. Noise will be higher in sensors with smaller individual pixels. Sensors with 4 micron pixels will have more noise than sensors with 6 micron pixels, no matter what size the sensor is. 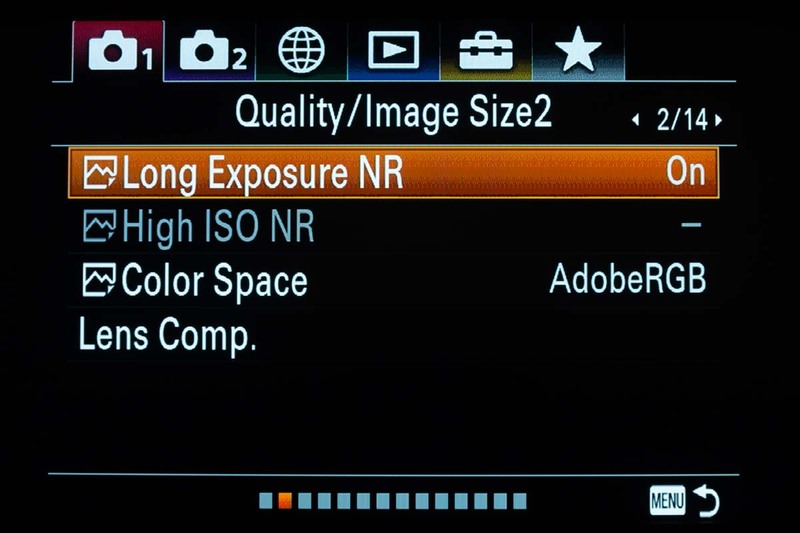 Pixels, or photosites, do not “know” how large a sensor they belong to. 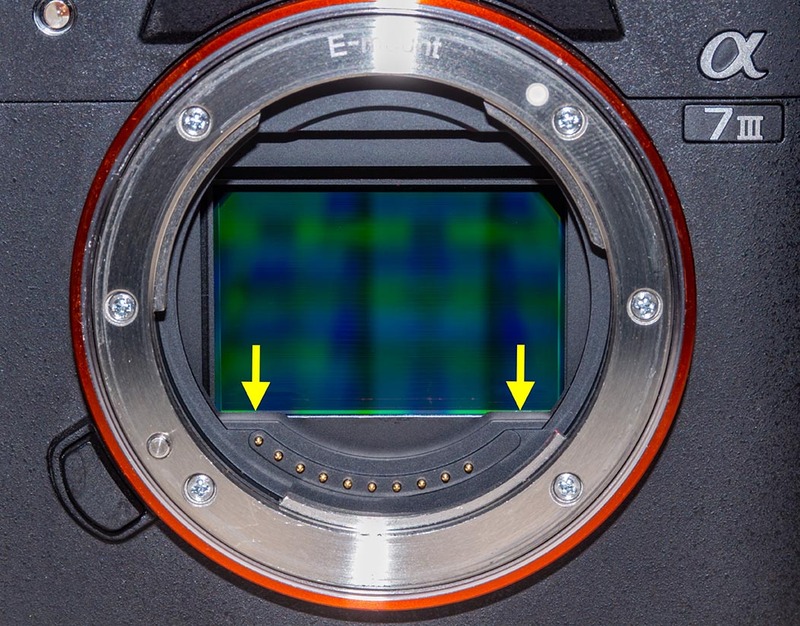 They do not perform differently when in a large sensor vs in a small sensor. I can’t attach a photo to this reply, so go here on DropBox. 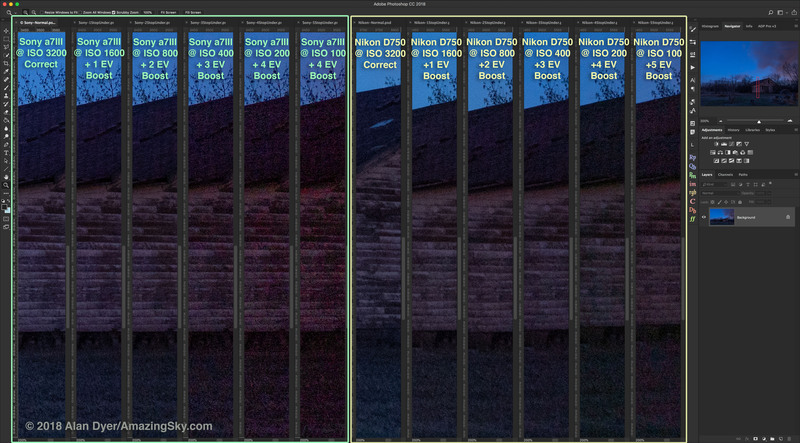 These are from DPReview’s noise comparison test images. I have chosen late model full-frame cameras and a cropped frame camera each from Sony, Canon, and Nikon. 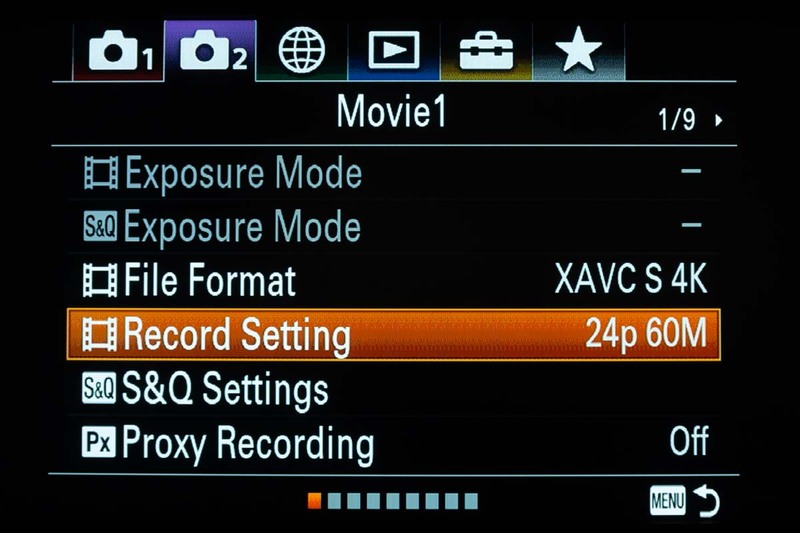 Which camera in the set has the lowest noise? In models from a similar generation it will always be the ones with the larger pixels — regardless of sensor size. 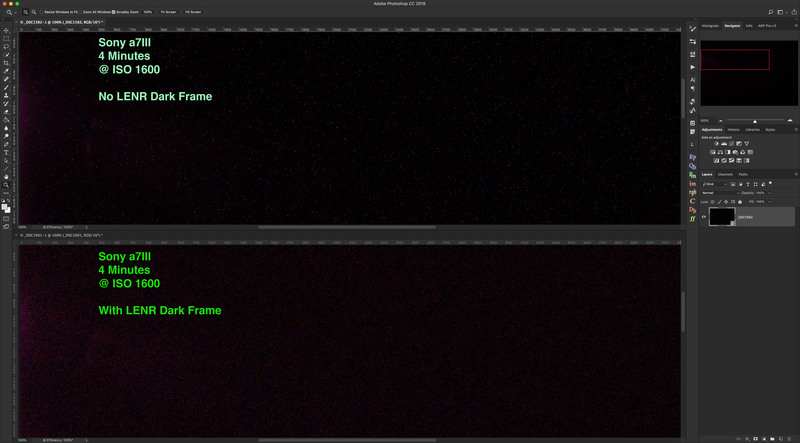 Full-frame and cropped-frame cameras with similar sized pixels have similar levels of noise. 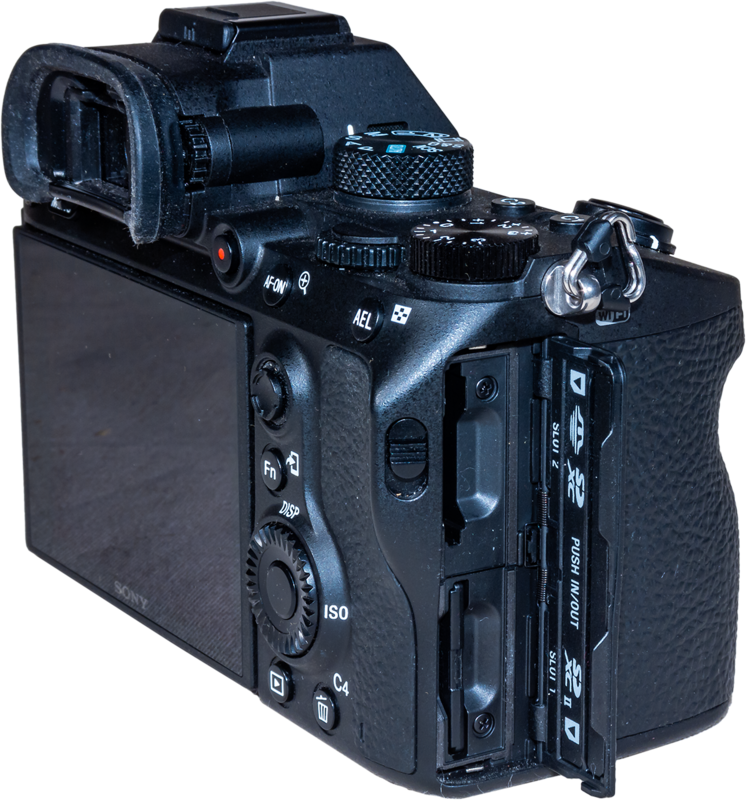 Older cropped-frame cameras (Canon 7D MKII) might have worse noise because they are older and use older firmware. 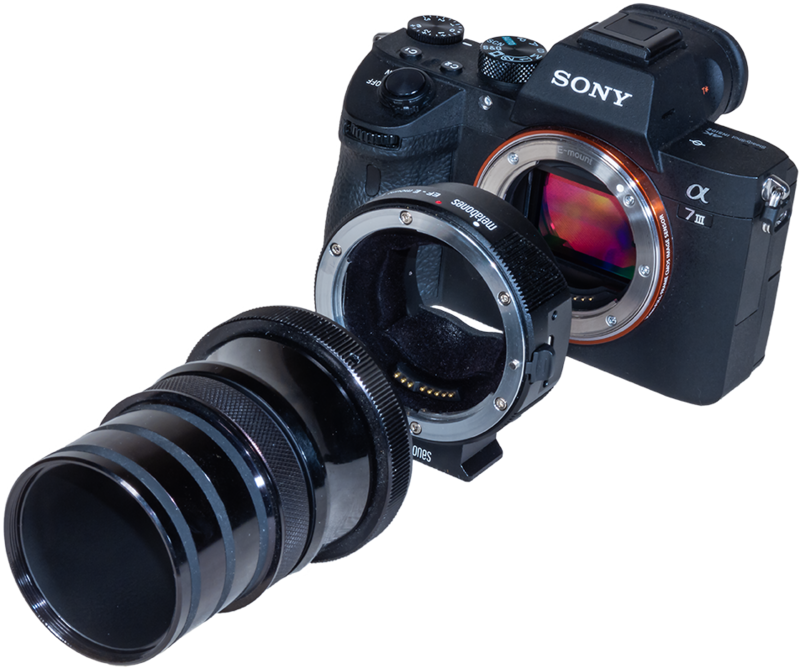 A Sony a7S II (8.5 microns) has lower noise than an a7III (6 microns) which has lower noise than an a7RIII (4.5 microns). It’s physics. 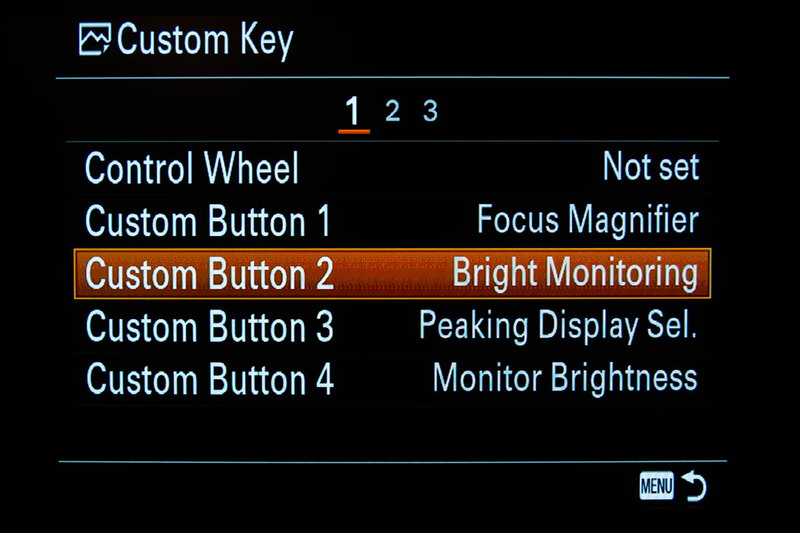 The area of the sensor as a whole has nothing to do with if. If it did then the massive foot-wide cameras used at observatories would have no noise at all! In fact, they have so much noise they are cooled with liquid nitrogen. Don’t believe me? Take a full-frame camera and shoot a low-light, high-ISO image with it set to full-frame mode vs with it sent to take a cropped APS frame image. Which will have the lower noise? Do the test and let me know. They will be the same, because it is the pixel size not the sensor area that matters. 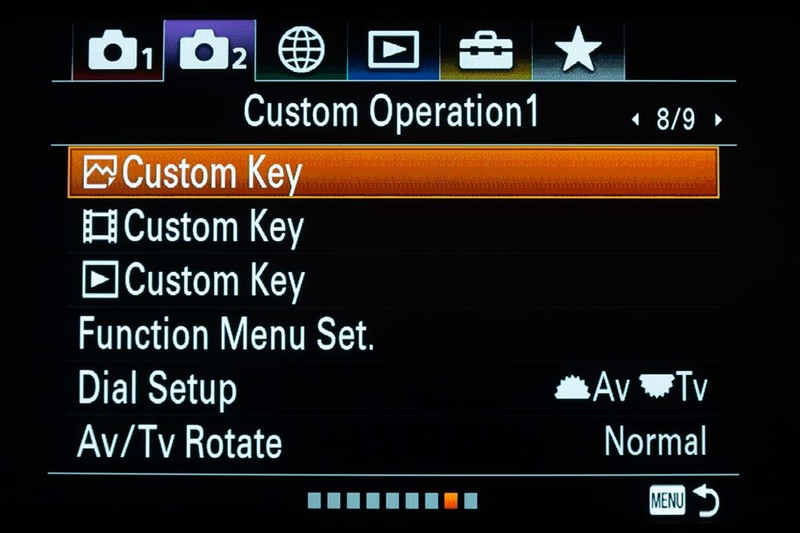 Plus the generation of the firmware. 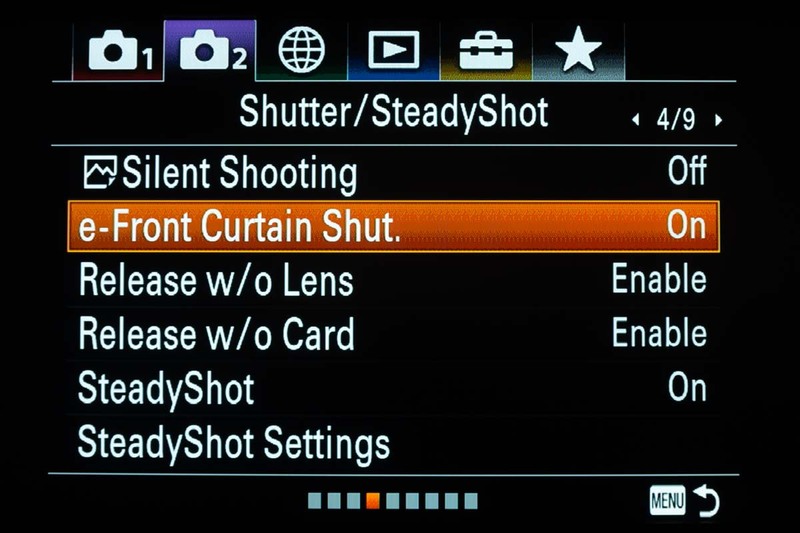 But in my suggested test we are keeping the camera and sensor the same. The firmware, pixel size and pixel characteristics are also all the same. Use the same lens as well. Eliminate all the variables — except one — you’re just varying the collecting area. In your theory the image taken with it set to shoot full frame should be less noisy. Is it? The S/N ratio is determined by the individual pixels — they don’t know how big a sensor they belong to and won’t behave differently in a cropped sensor vs a large sensor. What iso would you recommend for the a7iii if you could pick any iso (so not limited by individual situations)? 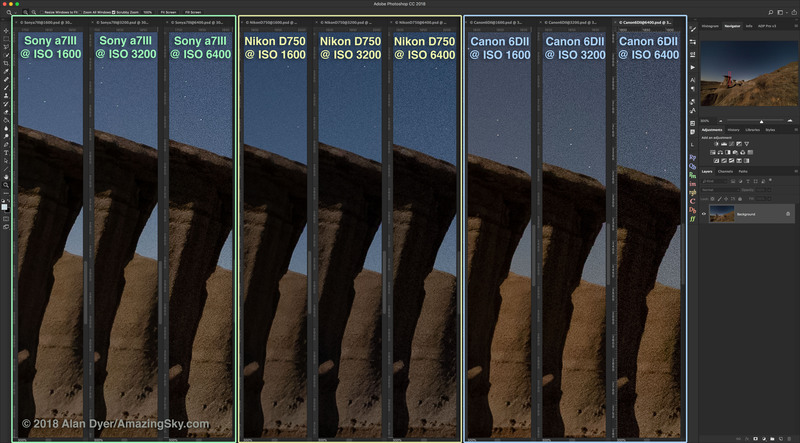 Is it iso invariant enough that it doesn’t matter, or are certain iso’s slightly better in your opinion for night sky images than the tier 2 base iso of 640? For nightscapes I would never shoot at a lower ISO than necessary with hopes of boosting exposure later. Even a supposedly ISO invariant Camera like the Sony can show noise and discoloration in underexposed images boosted later in exposure. 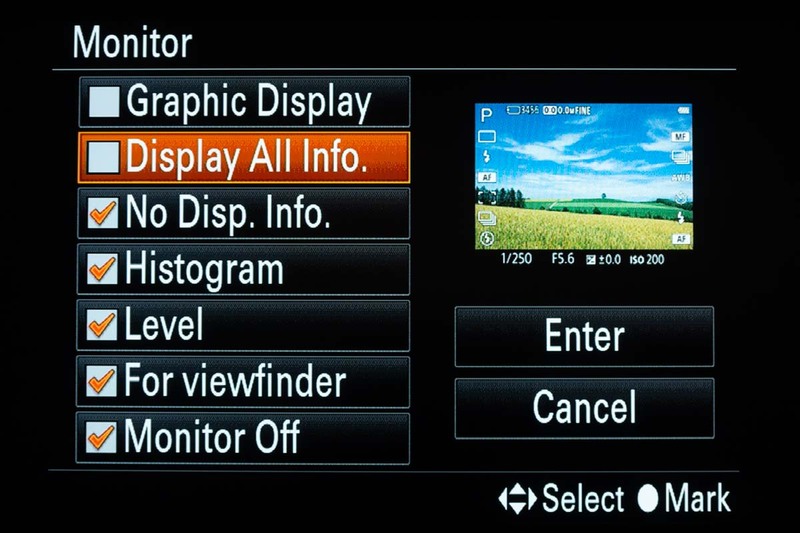 Use the ISO that will produce a well exposed histogram for the shutter speed and aperture dictated by the scene. Hi, Alan. Well, it seems a7iii can be used for astrophotography, then what about a7riii? Has anybody tested it yet? I have not tested an a7rIII. And the new a7sIII rumoured to come out soon would also be interesting to test. Hi Alan, thanks for this detailed review. I’ve noticed you’ve used the Rokinon 14mm SP on the a7iii in your noise test. 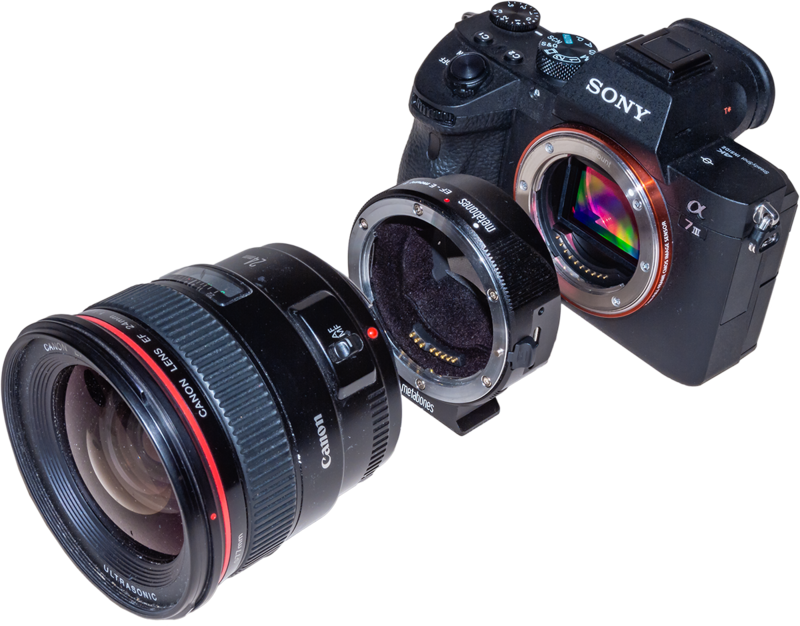 Which lens do you like more between the Rokinon 14mm f2.4 SP and the Laowa 15mm f2? Does adapting the Roki SP on the Sony body somehow compromises the image quality (in terms or sharpness, distortion, coma…)? Coma wise, is the Laowa as good wide open as the Roki SP is? 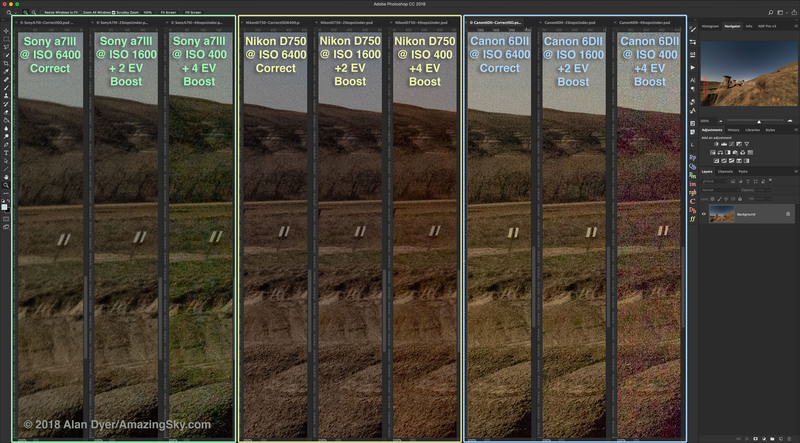 I did notice the difference in detail between the Nikon and the Sony on the cropped in, ISO invariance test shots. The small tree at the top of the image looked very different with the two cameras. The Nikon had better uniform color but the Sony had noticeably better detail. 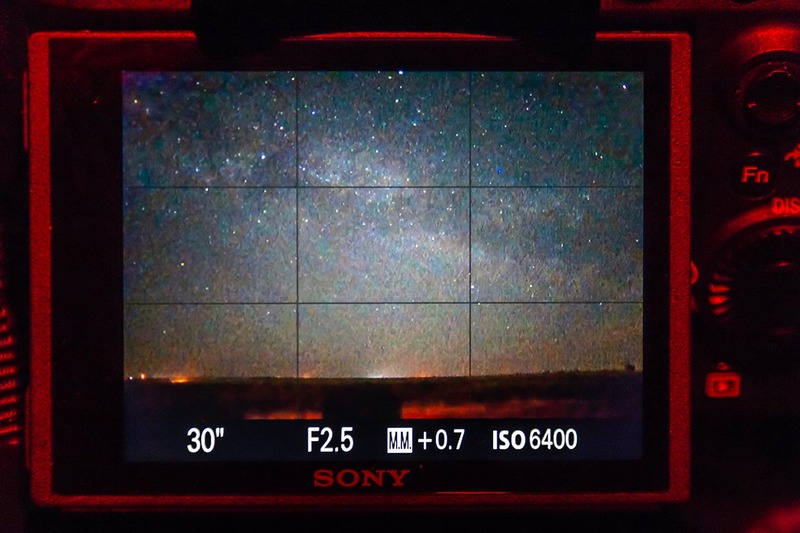 I have used Sony cameras for astrophotography for years and have never noticed a star eater problem. It could be my photos are not quite good enough to tell a difference but it seems to be mostly a non issue to me. 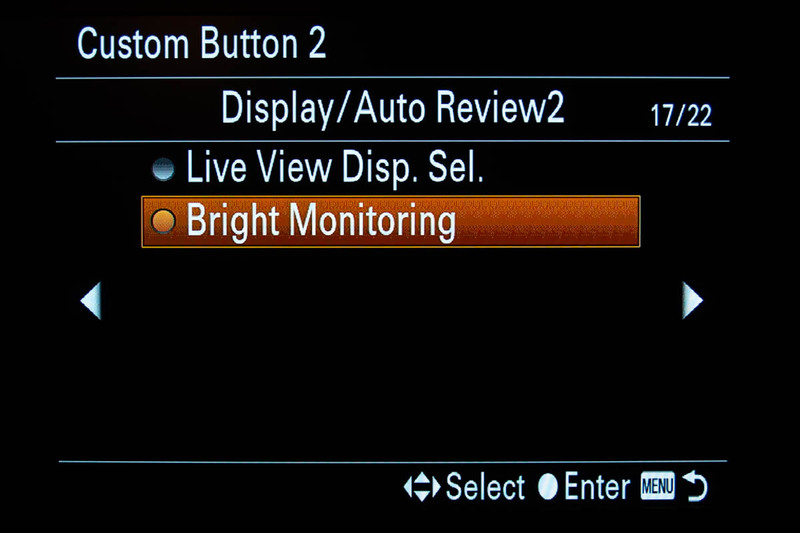 I think in the last few years the difference in the performance of higher end sensors have become harder to distinguish. I don’t know if Nikon is still using Sony sensors but both brands seem to be making very good cameras. Cannon doesn’t seem to be even trying to catch up. 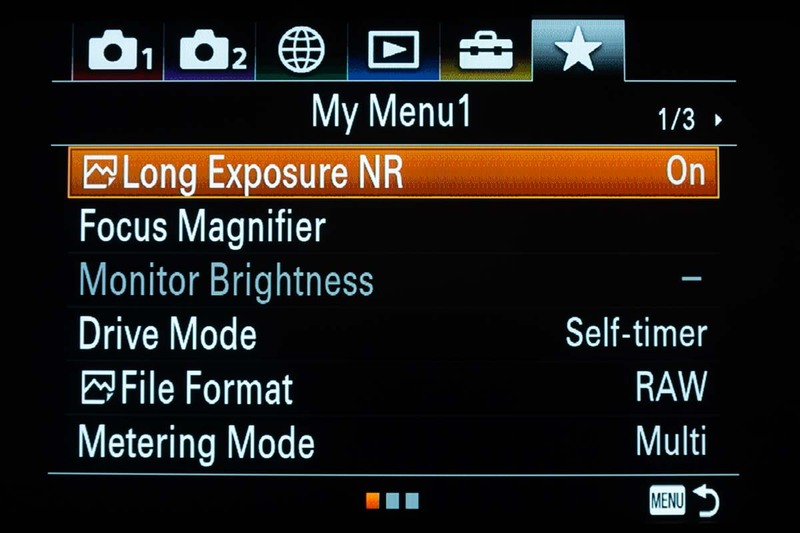 While i know how to turn on LENR, does this apply only to jpegs, or to RAW shooting as well? With the Canon full-frames you simply fire the shutter again. 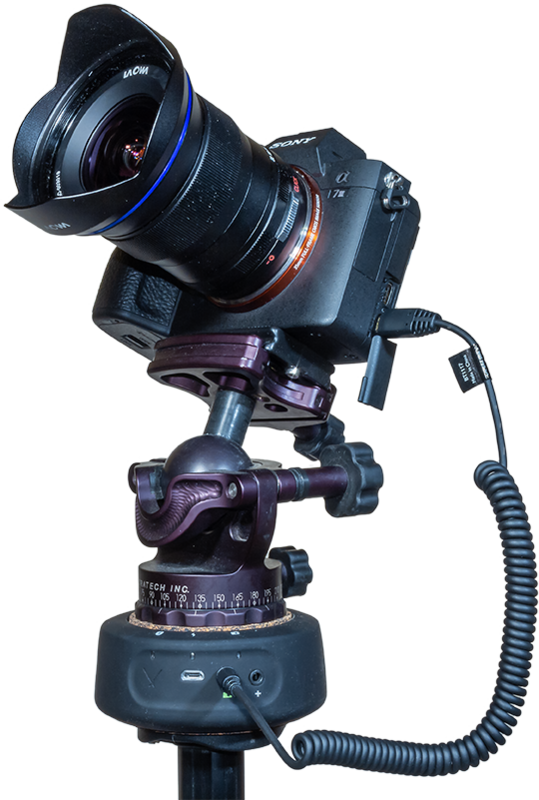 With LENR on you will be able to take another shot, and another, before the dark frame kicks in and locks up the camera. The camera subtracts the single dark from the buffered lights. With the 5D MKII you could take 5 lights. With the 6D it was 4 if it was on Raw+JPG. 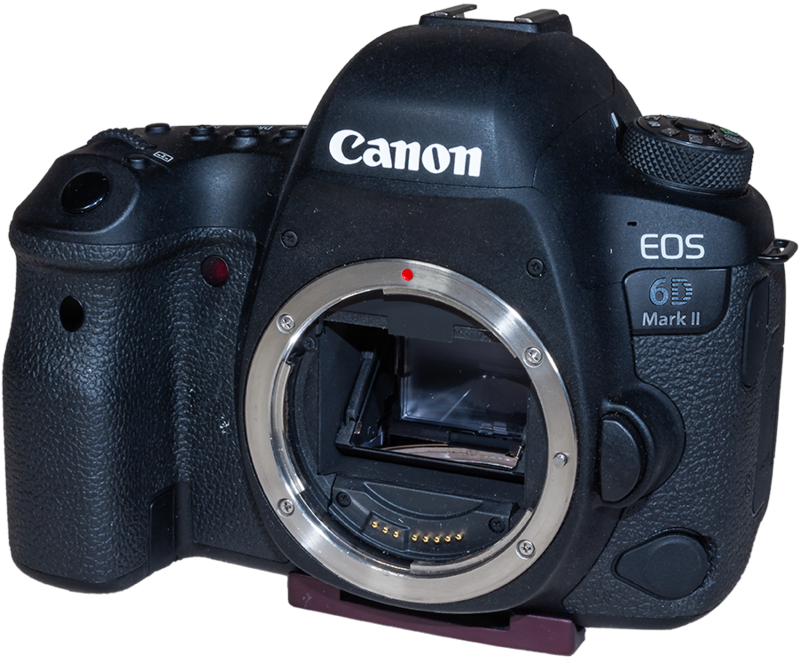 With the 6D MkII it is 3 regardless of format. It varies with even Canon full-frame. 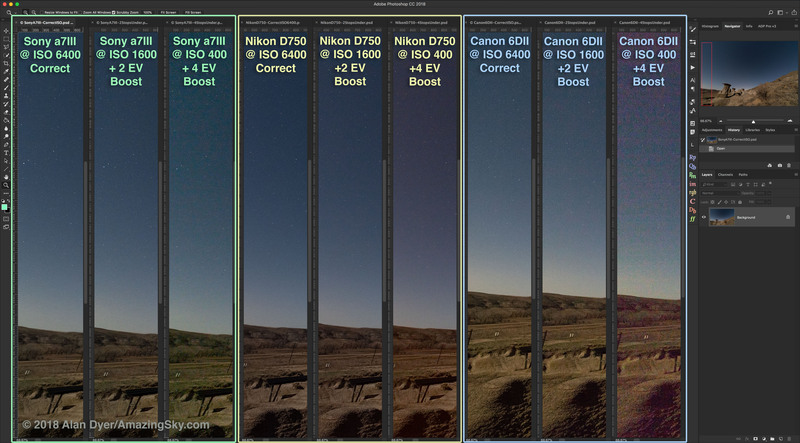 Only the latest Canons offer in-camera stacking to average noise, which is not the same as dark-frame subtraction. With LENR on you don’t have to do anything like taking separate shots with the lens cap on. LENR does the dark frame taking and subtraction for you. when i saw someone reporting an article that star eater was gone, i immediatly read your article. 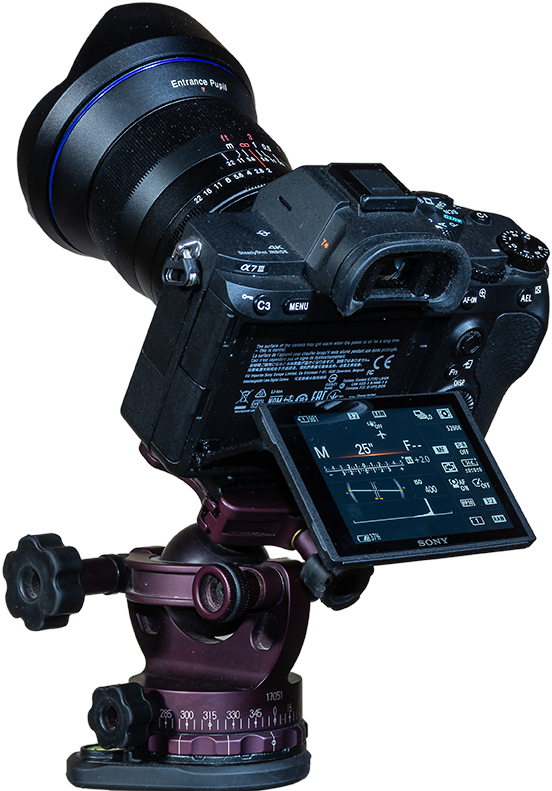 However, like other, i must say on that the star eater is not gone on the A7s3. first, the stars on your images are extended typically on 3 pixels, so they are not as dramatically reduced as stars extended on a single pixel. then, even in your case with ~3pixels wide stars, the comparison between 3.2s and 4s clearly shows a reduction of the stars “peak” brigthness, and notably less weak stars. I would invite you to further read my comments and images added in the Addendum. 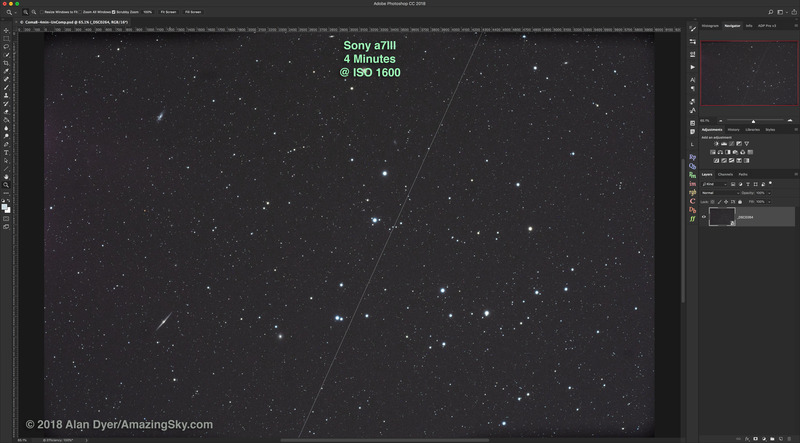 Yes, the a7III softens stars and noise slightly but I do not consider it to be “eating stars.” Stars are all there, to the same limiting magnitude in shots taken with other camera brands. I provide that evidence. 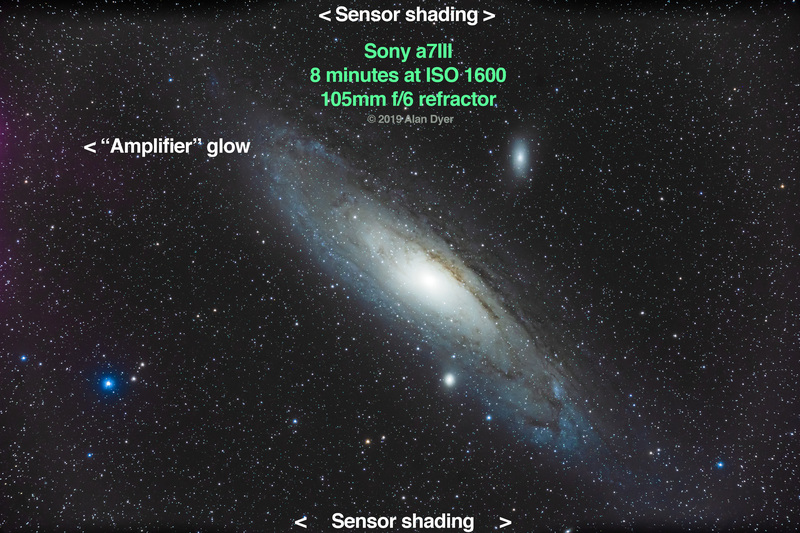 What we are seeing with “green” stars (in both the Sony and in the Nikon) is an effect of the de-Bayering of those cameras’ raw frames that varies considerably depending on the Raw developer you use and, in the case of Raw Therapee, the de-mosaic algorithm selected. Perhaps I’ll add examples to show that, but I would invite you to take your own Raw files of tracked star images shot with a Sony, Nikon, and Canon camera and develop them with Adobe Camera Raw, Capture One, DxO, Affinity, Luminar, ON1 Photo RAW, and Raw Therapee’s various modes. 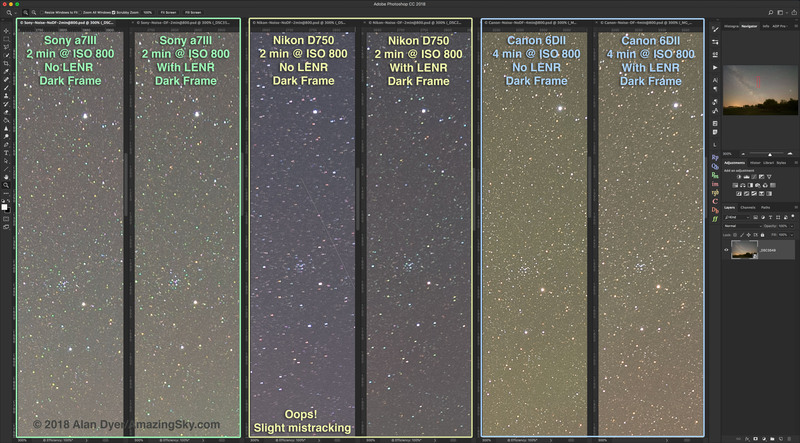 You’ll see how different the stars are rendered with all those programs. Some show green stars, some red stars, some show stars with green hot pixels, some show stars with little color at all! This is an issue of how software de-Bayers stars that occupy only one or a few pixels. I made that comment in the blog. But there are indeed differences between the various brands and Raw files from various models, because we know every camera has a different Raw format. It’s not strictly hardware nor just software. But it is extreme pixel peeping. 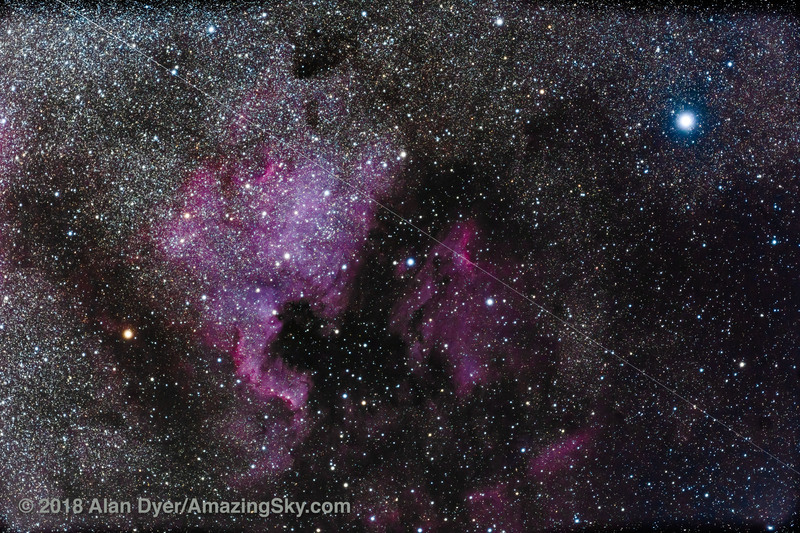 In real life images, such as I have shown, it makes very little difference even in deep-sky images which are the most demanding of star quality. 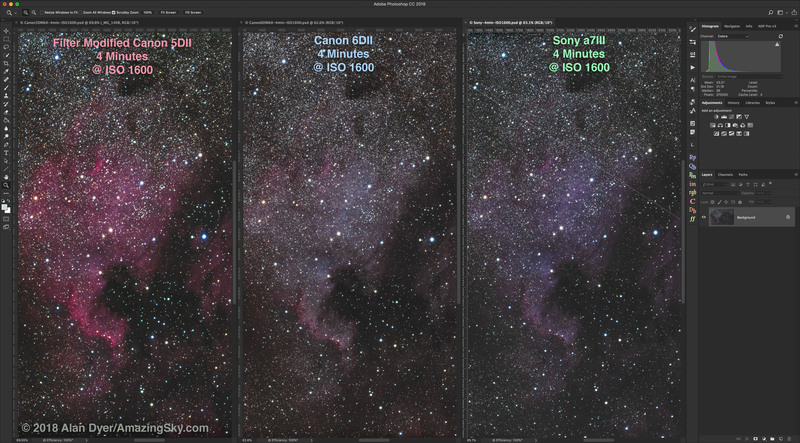 I can’t speak for other Sonys but in the a7III it is not so much an issue of “star eating” but “star rendering.” But Nikons have similar issues of oddly colored stars. I can assure you that even the ace programmers of Raw development software who I have spoken to are puzzled by this as well. I have updated the Review with some new tests to address questions raised by some of the commenters. Thanks for the suggestions! Thank you, Alan! This has been so insightful for me as an amateur. I’ve been looking for a comprehensive review and comparison of this camera for a while now. Since night photography has become a bigger part of my hobby life, I’ve been considering this as a replacement for my aging a6000. Obviously, anything will be better at this stage, but I have to say, this info has made me a lot more confident in sticking with Sony as I wasn’t keen on buying into a new lens system. Thanks for the review, Alan. I have doubts about the noise comparison. You’re comparing noise in images where there’s a lot of light(which is equivalent to the fact that your test images don’t have really deep shadows that we encounter in astrophotography). This comparison will not show the real situation with the noise level. Almost any camera will behave well in this comparison. In order to see the real situation with the noise you need to compare pictures with a large lack of lighting. 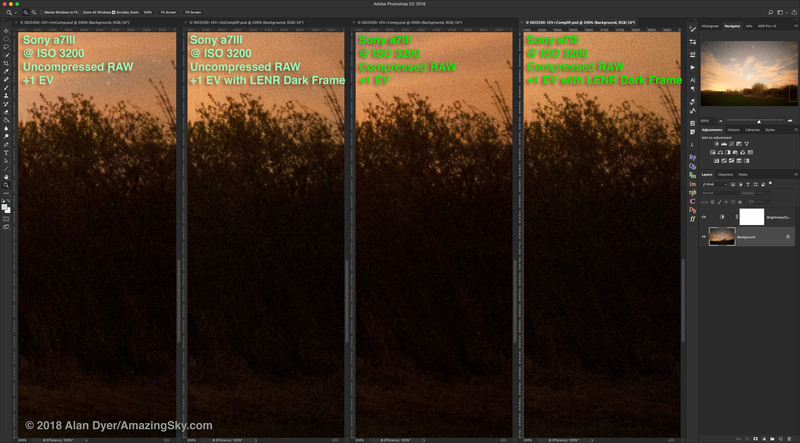 At the Raw-files from dpreview.com shows that a7rIII much less noisy than the Canon 6D and Nikon D750. You just need to compare the pictures where there is a real lack of light(such as on a moonless night or ISO 102400 on test images from dpreview.com). You’re saying the a7III will show less noise than the competitors when used under very low light conditions. Do you know that for a fact from personal tests? We will see if your theory proves correct! That’ll be a good test to make. Thanks for the suggestion. 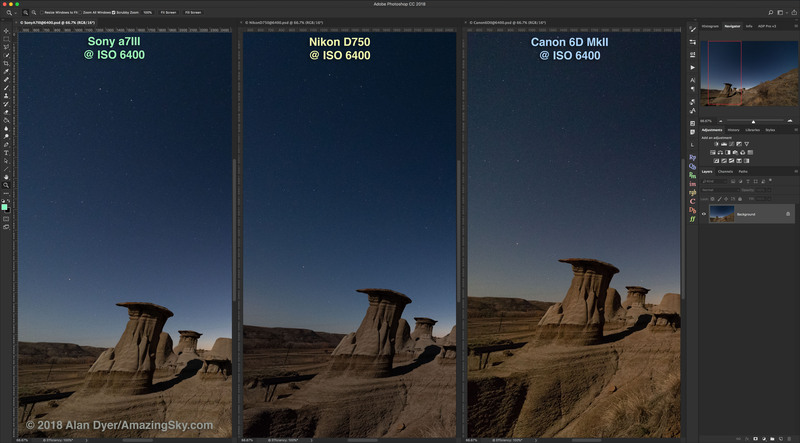 “1 stop better in low light” isn’t always a flat comparison of 200 being as clean as 100, 3200 being as clean as 1600 etc. I find there’s more of a gap the higher of an ISO you use. When comparing 1600 to 1600 from my a7ii to a7iii there isn’t much in it, 3200 vs 3200 it’s maybe half a stop – 6400 maybe 2/3 of a stop. But when I’m pushing details of the milky way and using shadows pushed to the equivalence of iso 12,800-25,6000 there’s more like 2 stops cleaner, at least this is what I found processing astrophotos between the 2 bodies. 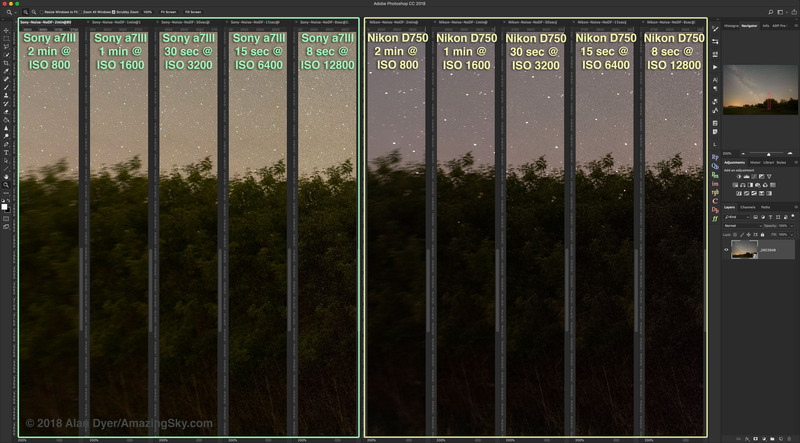 This is much more apparent when comparing files of those ISO levels from dpreviews studio tests between the bodies. You’re right about the benefits being more in the shadows than the highlights though. Great article, I have to note one thing though. You mention with the a7iii that it’s not completely iso invariant and that the files when pushed 4 stops were not as clean as the shot taken at iso 6400. This is because the 4 stops underexposed image was at iso 400, just under the camera’s dual gain system in the sensor. 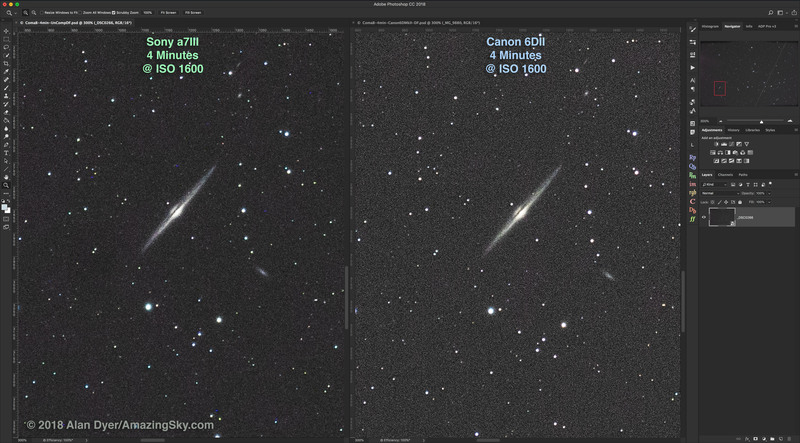 If you compare iso 640, to shots at 3-4-5 stops higher, I believe you’ll see more similar results. That will be an interesting test to make as well. You believe it will be the case, but did you know? Have you done this testing? Or is this just a theory of how it should behave? We will see if that theory proves correct. Thanks for the suggestion. After reading about it myself, I tested what i’d read, and saw it to be true. On the a7iii the differences between iso 400 and iso 640 pushed to be equal exposure, the 640 image is cleaner even with a shorter shutter time due to the dual gain system ‘kicking in’ at iso 640. This would explain why in your first test the +4 EV image (iso 400) and in your second test the +3 and +4 EV images (iso 200, iso 400) appear iso variant. Thank you for a detailed review of the Sony 7III. Now I know why I haven’t seen you on my email feed in awhile! A nice in depth article that answers many questions for me. Would you say the Sony is worth the $500 difference in price to the Nikon? I use a Canon T5i right now as I’m new to the craft. A camera upgrade to a full frame is my next big purchase after I get some more experience with the T5i. I find your articles very helpful. Thanks again. Hi, it all depends on what you want to buy or already have for lenses. And what you want to use the camera for. 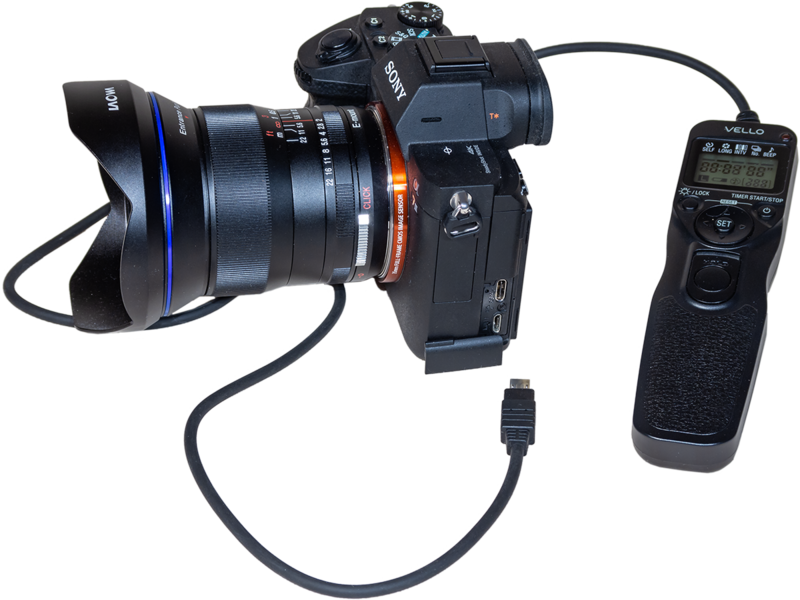 The Sony will be partly incompatible with some time lapse controllers. But it can take the Canon lenses you might already own. But figure in the cost of the adapter as well. But with the Nikon you would be buying all new lenses I would imagine. Great review, and impressive for its detail. Unfortunately, I think that you’re conclusions re star-eater are based more on hope than reality. 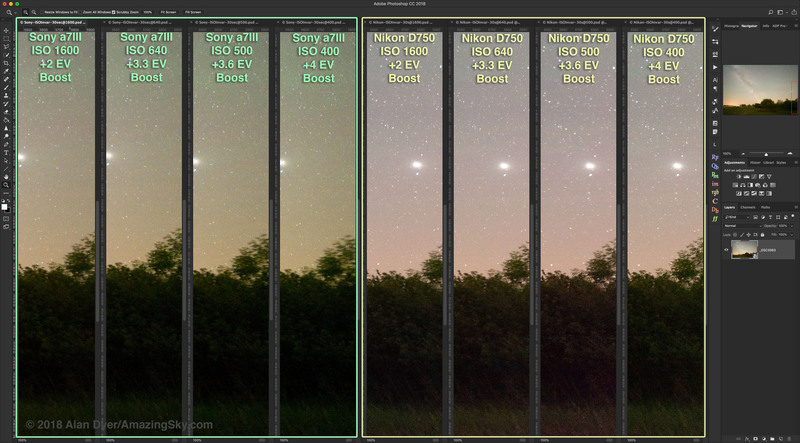 Jim Kasson’s testing (https://www.dpreview.com/forums/post/61074932) provides strongly conclusive evidence that it is still present, and your first comparison shot with the Canon 6d shows small stars in the Sony that are characteristically ragged and with a dominance of green colour – exactly the features explained in Mark Shelley’s reverse engineering of Sony’s latest spatial filtering algorithm. 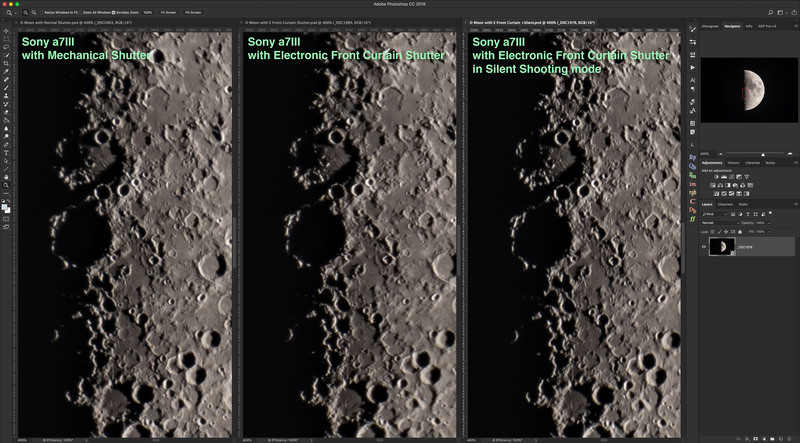 If you want an objective test, rather than comparing the Sony with Canon or Nikon images, you need to compare 3.2 with 4 second images, both shot on the Sony. Its a pity, because if it can deliver such good results with the star-eater still present, imagine what it would deliver if Sony would only gives us a menu option to disable it. One of the test sets shows just what you asked for – exposures of varying length below and above 4 seconds. No difference. The colored stars you are seeing is from odd deBayering going on which is also present to some extent in the Nikon. 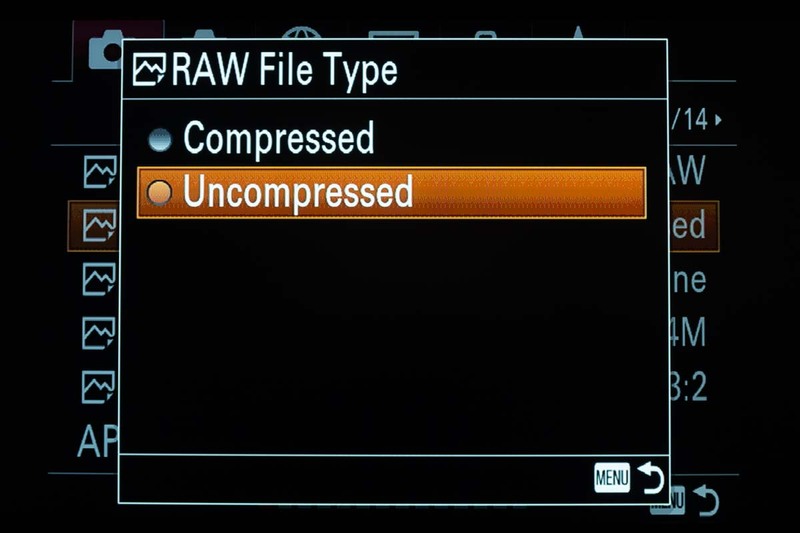 Using other Raw converters might affect this. 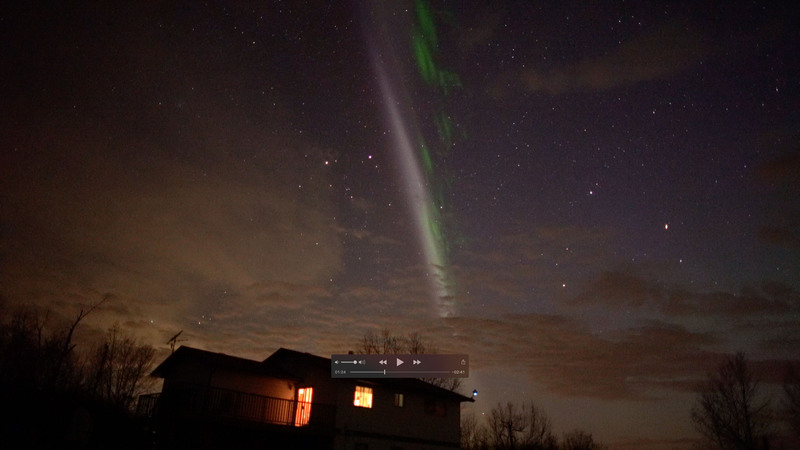 But in the end the Sony shots showed stars to the same limiting magnitude as the other cameras. And isn’t that what you care about? Ie. Sony not performing as good as competitors? And in identically exposed images. It showed all the same stars to the same limiting magnitude. What more do you want? There might be a deBayering issue going on, or something related to the anti-alias filter but I’ve seen that with other cameras (it’s there slightly with the Nikon) and varying from Raw developer to Raw developer. But that’s not removing stars. Look at the deep sky images. You would get more stars only by going to smaller pixels perhaps, but then there’d be more noise as well partly hiding the smallest stars. To my eye, the difference is nothing like the huge wiping out of stars reported and shown at Lonely Speck. I saw nothing to the extent Ian showed. Between 2 and 4sec maybe there’s a slight softening, but there’s but no difference in limiting magnitude, unlike Ian’s test shots. 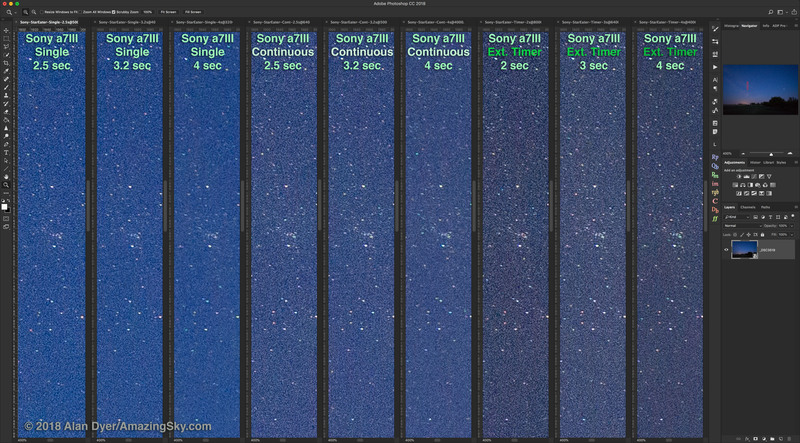 And in tracked exposures over a minute where you’d really see the difference there is virtually no difference in sharpness, star count and limiting magnitude between the Sony and cameras not accused of eating stars. And what else could you compare it to? 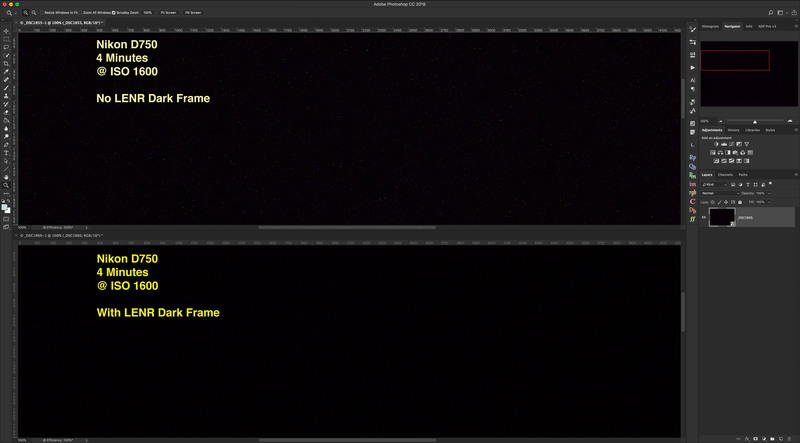 I can’t see anyone being unhappy about the sharpness of the starfield and galaxy itself in the 4 minute galaxy shot compared to the Canon version, and Canon surely sets the standard. If stars are colored and misshapen at the single pixel level that’s deBayering. If an anti-alias filter were responsible you’d see it on all images, not just long ones. 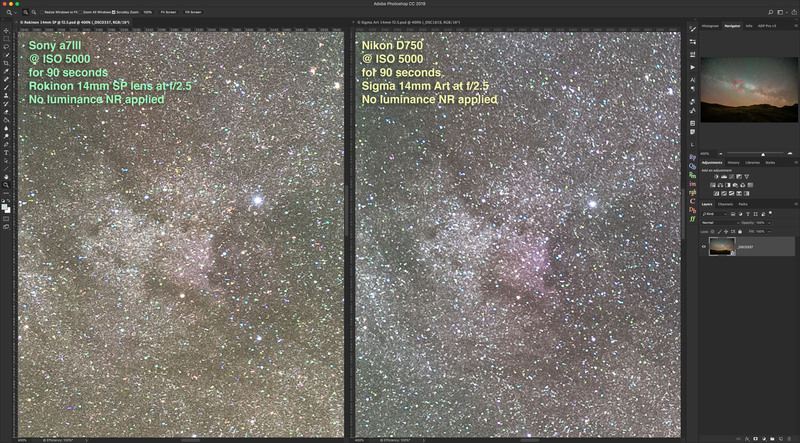 But you can see that same effect a bit in the Nikon images, too. Stars 1 or 2 pixels wide are a little too colorful! 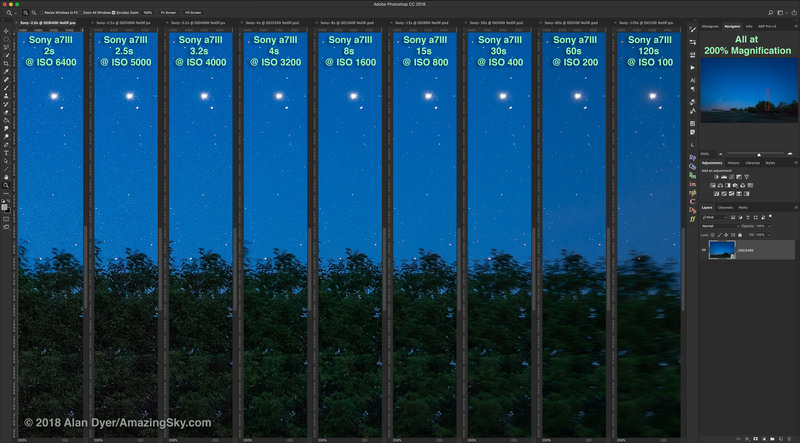 But it would be interesting to test Raw vs JPG on the Sony, to check Sony’s own deBayering. I shot nothing but Raws. If I get more results I’ll update the test. Thanks! 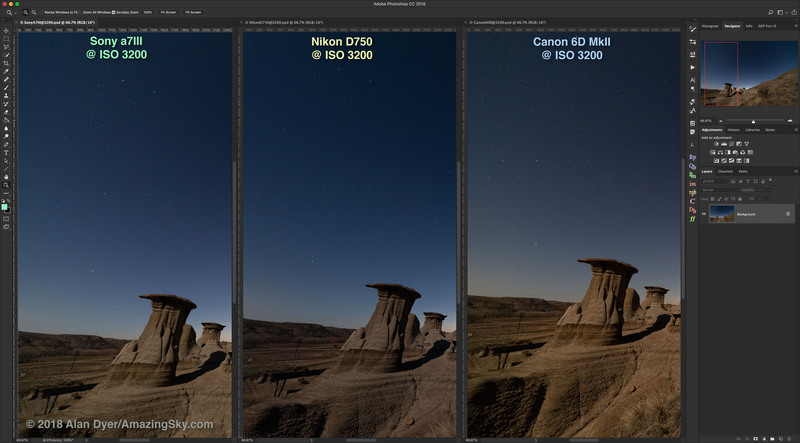 I’m sorry, but I have to agree with John on this one: Your comparison of different exposure times *clearly* shows, that the filtering is still in effect and it wipes the smallest stars (up to 4 or 5 pixels area). 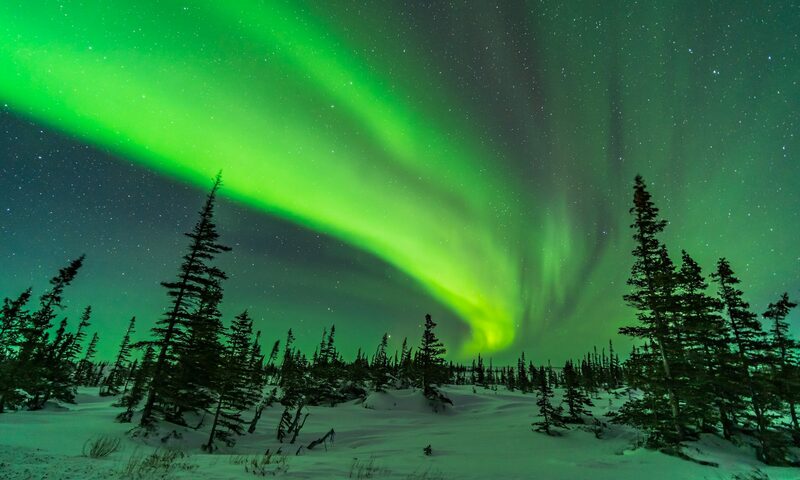 Slightly bigger stars are turned into green blobs or get a green halo. 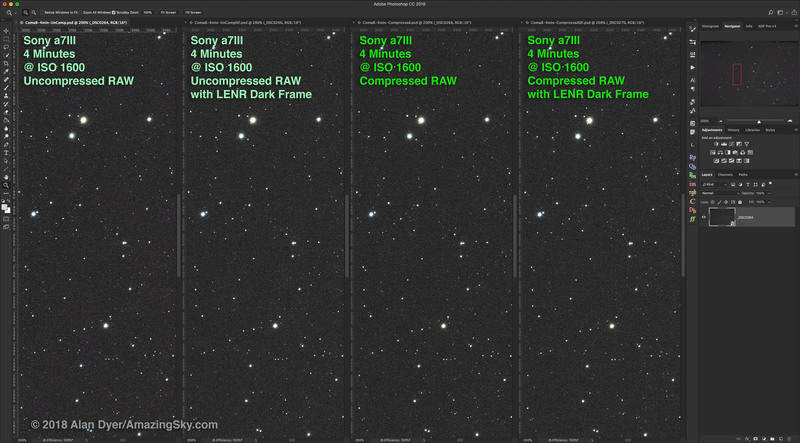 The red and blue colors of those stars are wiped by the filter – just as it has been since firmware update 4.0 on the A7RII. 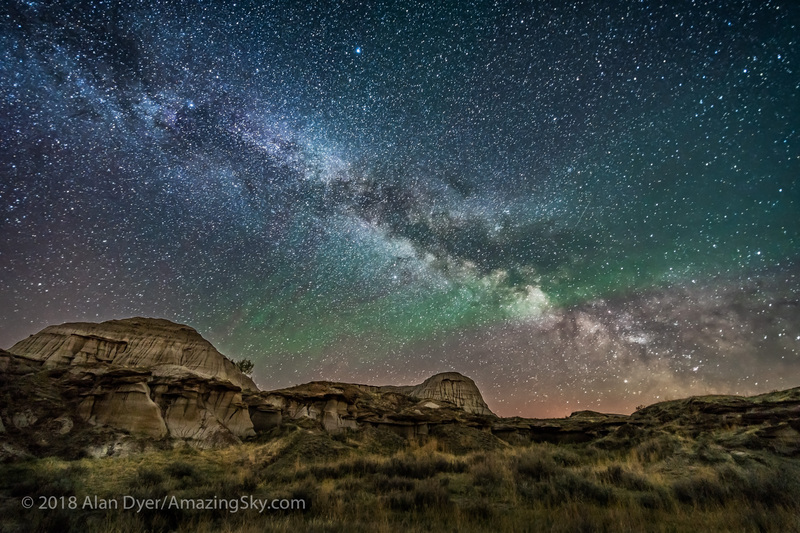 It’s not the debayering which causes the color shift, as those stars are white in images with 3.2 s and become green at 4 s exposure time. 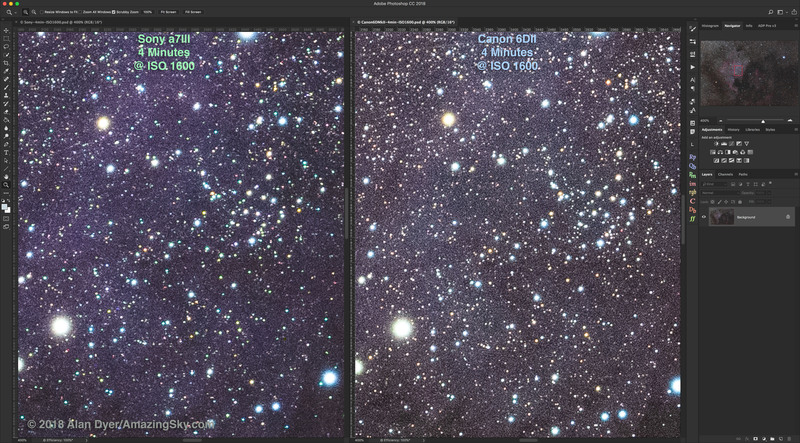 The effects of the algorithm are clearly visible in your test images when comparing 3.2 and 4 s exposures. Please have a look at them again. Yes, they are not as bad anymore as on earlier A7RII firmwares, which originally created all the fuzz. 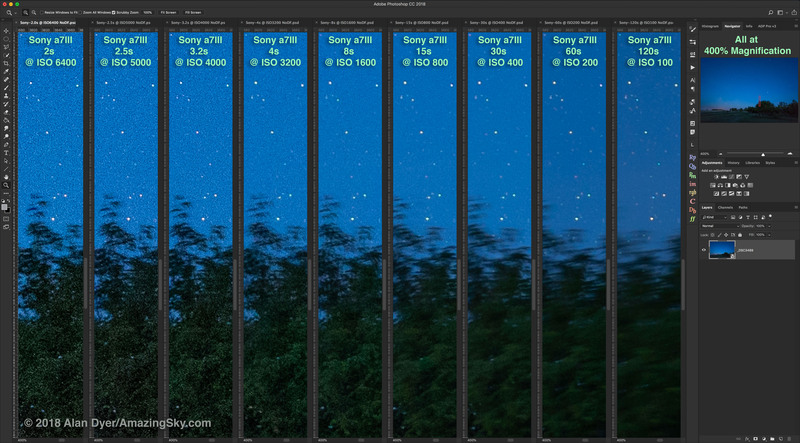 But the A7III (as well as the A7RII, A7SII, A7RIII and A9) is still “eating stars”. Great review, Alan. Thanks for doing it. I’m really on the fence on whether to get this camera. I currently have an a7RII but have been considering the a7III, in part because I had read some things that seemed to indicate that it had better low light noise properties. But I don’t know if it’s a significant enough improvement. I also don’t really think I need the 42MP resolution I have with the a7RII (I thought I did, which is one reason I bought it), even though I do mostly landscapes and nightscapes. The images take up so much computer storage space! I like the fact that the a7III has way better battery life, too. I don’t know if you’ve ever used the a7Rii to be able to comment; probably not or you would have in the arrticle. I’ve read so many good things about the D750 for night photography, which your review corroborated, and seen so many great images taken with it, but I have all Canon-mount lenses, which wouldn’t be compatible, so probably don’t want to go there. Anyway, the a7III does look compelling. Thanks again for the detailed review. Thanks Steve! 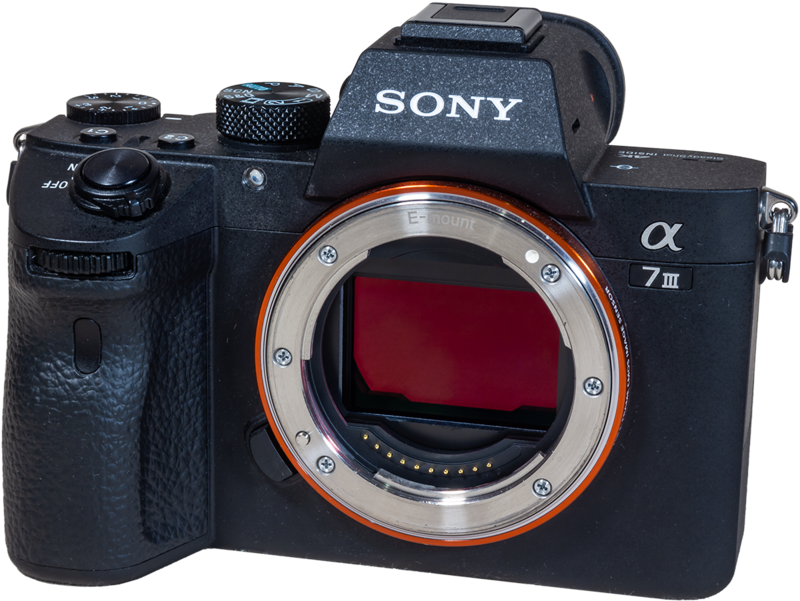 As you surmised, the a7III is the first and only Sony mirrorless I’ve used. 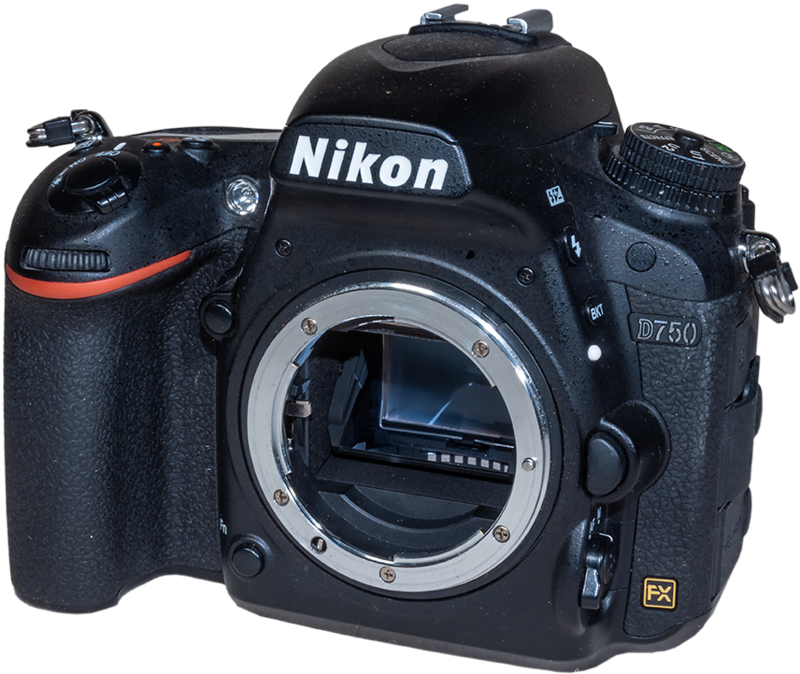 So I can’t compare it to the a7r or a7s models. None have been tempting until the a7III came out. Seeing people head into the field with a passel of batteries just to get thru a night of shooting put me off! The D750 is fabulous but the Sony is almost as good – much better for Live View – and accepts all lenses.